Samsung has shown off a number of new devices at this years IFA event in Berlin so I'll talk about the ones that I find most interesting. The new Galaxy player from Samsung bears a strong resemblance to the Galaxy S3 (although screen is an inch bigger) and with no known specs of the device I wonder if Samsung is going to have this device match the specs of the S3 (like the iPod touch matches the iPhone specs). Samsung would have to find a way to have the device cost a lot less than an S3 if that is their plan though as if the price was close or the same then I can't see why people who could afford it would not just buy the S3 itself. I can only see a market for this (at S3 pricing) for a very small number of people who have Nokia Symbian phones that have 2G/3G data and could tether the connection to the Galaxy player. 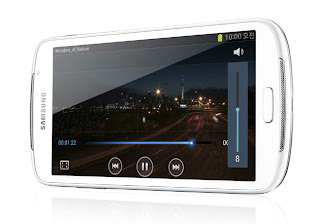 They might not want a smartphone due to low battery life and the player could be the perfect smart device to go along with their Symbian phone. I have heard of the idea of an Android powered camera before (from Polaroid). I feel it could well be the logical evolution of the digital camera and perhaps the best way to save its dying market. People always have their phones with them and get used to using that as their main camera. It is so easy to share after taking a picture on your phone as you can share it to a social network or even upload to something like dropbox and send the link to a friend via SMS. The digital camera falls behind on this front because you have too plug it into a computer and then take the photos off and then share them with your friends. A smart camera could do a very good job of bridging this gap as you would have access to all those apps for sharing (and games to make the camera another entertainment device). People will argue that you might as well just use a phone since the Galaxy camera even has 3G/4G connectivity but when are you ever going to see a smartphone with an optical zoom lens? 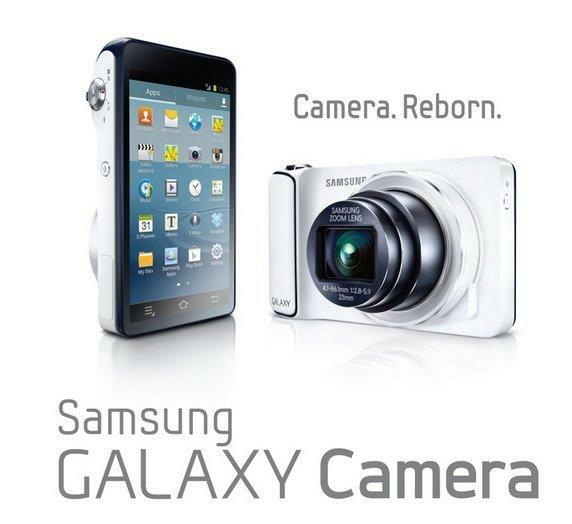 The Galaxy camera could be very successful in my opinion if the price is not too high.